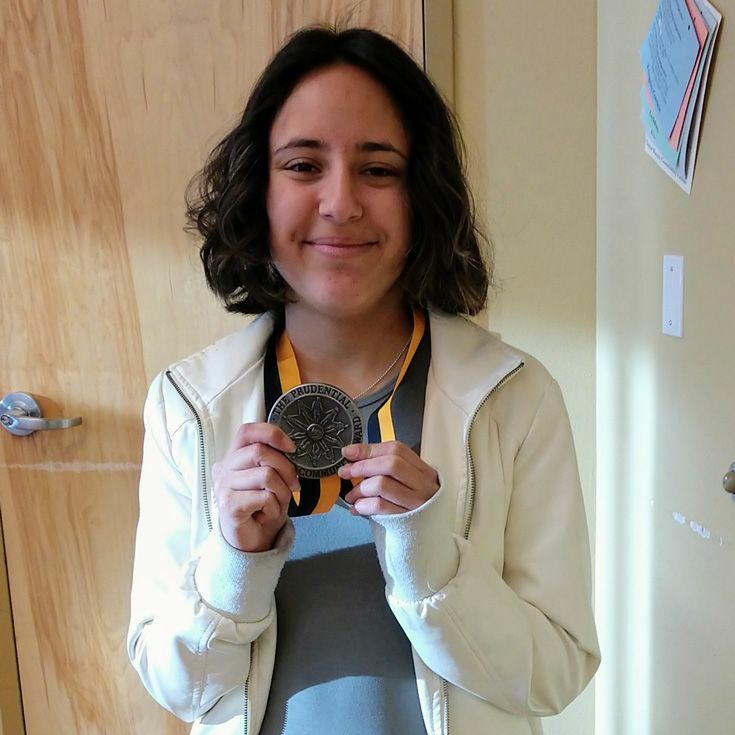 Mia ’19, winner of a Prudential Spirit of Community Award, was presented with a silver medallion on Wednesday by local Prudential representative Susan Jessup, as her peers, teachers, and local media outlets, KRQE and KOAT, looked on. Mia was chosen from among thousands of applicants to receive the award, given to deserving students in honor of their extraordinary volunteerism at the middle and high school levels. “Mia is a giving person,” said Ms. Jessup, a financial planner with Prudential. “She’s generous and committed to making her school a safer place.” Mia will travel to Washington, D.C., in May to be recognized with the other state honorees from around the U.S., where she will be considered for one of ten national awards.